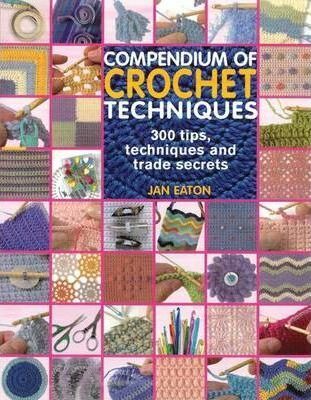 Give a professional finish to your crochet garments and accessories with this indispensable compendium of technical know-how and trouble-shooting tips. Step-by-step photographs, diagrams, and clear instructions will guide you through each stage of your work, or you can dip in for help with a particular problem. Discover how to substitute yarns and accurately estimate the amount required; adapt patterns to create tailor-made garments. All stitches are demonstrated, from basic chain stitch to filet and Tunisian crochet, and there is advice on mixing and matching stitch patterns and dealing with gauge variations. Nearly every unit features a "try it" and/or a "fix it" panel, suggesting ways of practicing and developing new-found skills and avoiding or correcting common crochet errors. You'll also find plenty of inspiration for adding an extra-special touch to your work usinghand-dyed yarns, beaded embellishments, and surface crochet.